Issues remain to be resolved for retailers in terms of the costs and benefits of equipping themselves to accept contactless cards. However, the ability of NFC to enable consumers to store discount coupons and loyalty cards on their phones, as well as to make payments, could change the proposition altogether. With NFC, it’s no longer just a case of simply improving checkout speed, it’s also a means to improve the overall customer offering, to build customer loyalty and, of course, to increase spend. Indeed, Juniper Research’s latest NFC market forecast puts retailers at the heart of the expansion of NFC services, predicting that the application of NFC as a mobile retail marketing tool via coupons and smart posters will support the growth of NFC mobile payment transaction values from US$8bn in 2009 to $30bn within three years. And Ergosum’s newly published specifications and use cases, setting out how NFC could be smoothly introduced for payments, mobile coupons and loyalty card applications at the point-of-sale, should add momentum to this drive, too. When retailers see a business opportunity, though, they are not generally slow to act. Once aware of the opportunity, they are unlikely to wait for NFC handsets to become widespread, as a rash of recent announcements of retailers testing and adopting NFC and RFID sticker-based solutions proves. In just the last few weeks, Irish coffee chain Insomnia has signed up with Zapa for its new sticker-based loyalty programme, Airtag has signed up La Croissanterie, France’s largest fast food chain, and SMS/sticker-based loyalty system supplier Taggo has been picked by a major loyalty systems provider based in Singapore, whose clients include Ikea. In the US, MocaPay has completed a $3m funding round for its SMS based loyalty system, which the company plans to migrate to NFC in the future, MoLo Rewards launched its NFC solution at DemoFall and Tetherball, currently on test with Dairy Queen, is claiming coupon redemption rates of up to 50%. Meanwhile, Starbucks has taken a different route, launching a 2D barcode-based payments application for the iPhone. With many of the world’s largest retailers also operating their own banking services and their own MVNO services, meaning that they already have an installed base of SIMs under their own control, there’s also the potential here for major retailers to create some seriously interesting new business models that could seize the initiative away from banks and mobile operators. The Business Proposition for NFC in Retailing is the first in a series of sector-specific business cases for NFC that we are producing for The NFC Report. Full details on each of the products, services and applications mentioned above, plus others in Japan and elsewhere, will be posted on The NFC Report website in the next few days for purchasers of the report to read. 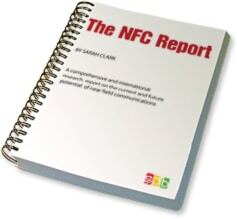 • The NFC Report is a comprehensive and definitive guide to the technology, applications, suppliers, business and market potential of near field communication around the world. Face to face and telephone research is now well under way and the report is scheduled for publication towards the end of 2009. Clients who order now qualify for a substantial pre-publication discount and are able to stay a step ahead of the game by accessing each section as it is completed on The NFC Report’s private website.